New opportunities for Monaghan with the opening of the new Combilift headquarter. The Irish company that builds lift trucks and lifts opens its doors for a grand opening. Present during the official opening day more than 500 people, employees, associates and journalists from all over the world. The new HQ covers an area of 11 hectares, including outdoor parking areas, and a production area of 46 square meters. 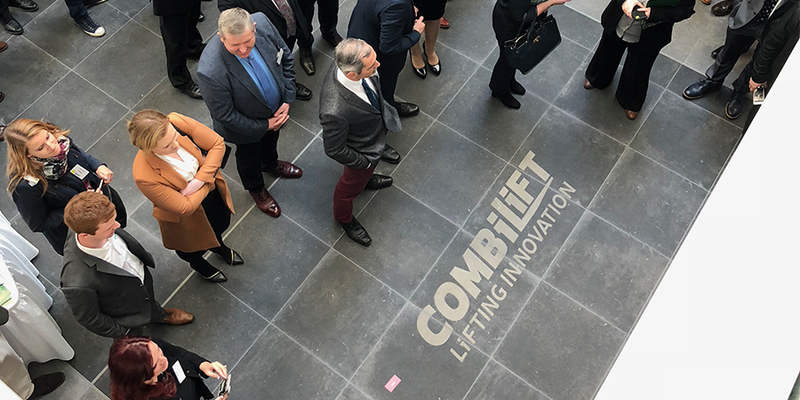 Martin McVicar, founder and director of Combilift, talks about an investment of 50 million euros that will bring about 200 more jobs within the region. Combilift, founded 20 years ago by two young engineers, Martin and Robert, exports to 85 countries all over the world. Today it is a great result and a source of pride for Monaghan. Leo Varadkar, Irish Prime Minister and Hearther Humphrey, Minister of Labor, also took part in the ceremony. There are many nice words for the two founders, Martin McVicar and Robert Moffet, The first to speak is Heather Humphery: “The company Combift is a great example for the country, creates new job opportunities and is a great resource for Monaghan” . The government is pleased to participate in this opening. “We need more companies like Combift that invest and believe in our country,” concludes the Prime Minister.